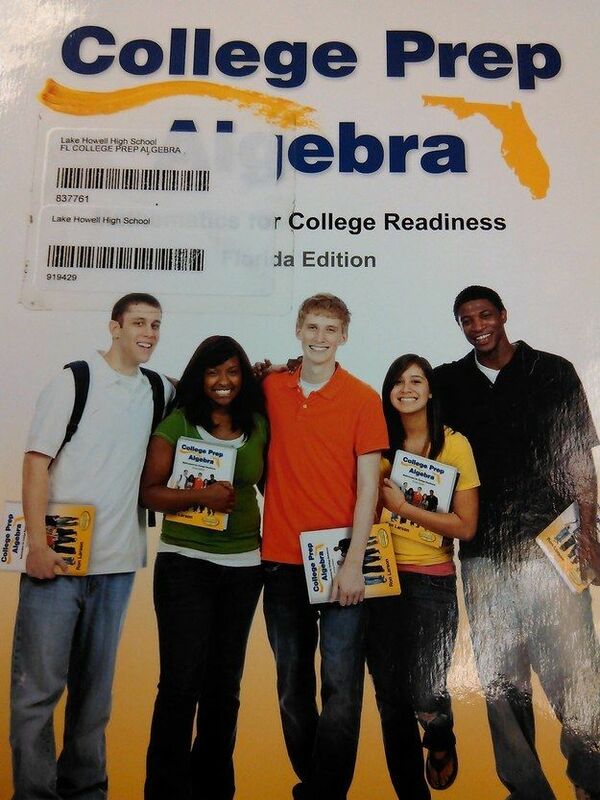 Can you spot why this textbook cover is freaking people out? People on the internet have been freaking out over a cover of an algebra textbook. It's not because they seem to be smiling, despite studying algebra. Nope. It's far more sinister and inexplicable even than that. You spot it? Yep, the textbook appears to show a picture of the students holding the textbook showing a picture of the students holding a textbook showing... you get the idea. And it's scaring the sh*t out of people. And confusing the hell out of other people. People who haven't heard of photoshop. It can't be green screen, Andy Serkis would have been involved. Others asked the guy who initially tweeted it to explain the whole thing, so that people won't stay up all night soiling themselves in fear. Others realised how it was done, but didn't realise that maths students learned about time travel so early. @riarklerise @KitRants They read the book and then divided by zero. They'll never escape the book now. Sometimes you can see them scream. Mainly people just dismissed the whole thing as a "maths thing I'll have no part of". We may never know how this actually happened. All we know is that somewhere out there there are five demons from another dimension studying maths who need to be killed with fire.